Join us for a unique multimedia journey into the tragically threatened world of endangered mountain caribou with expert wildlife tracker, photographer, and author David Moskowitz. 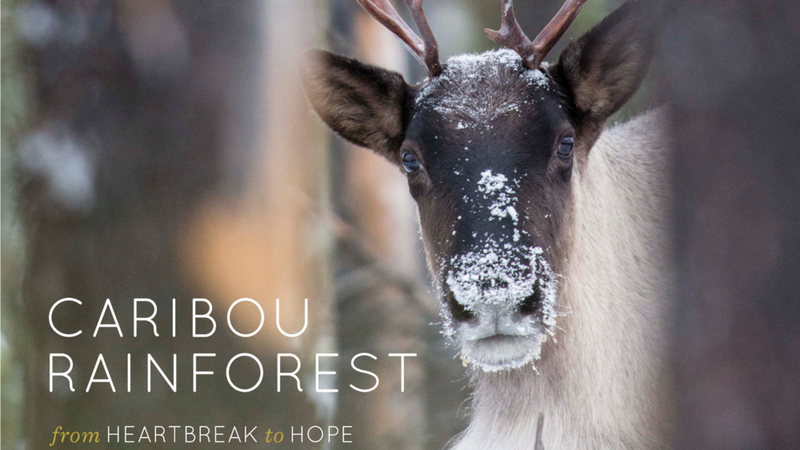 David will present content from his new book, Caribou Rainforest: From Heartbreak to Hope and provide insights into the world's largest last remaining inland temperate rainforest. He will also highlight the critical human choices that will ultimately decide the fate of this stunning ecosystem. Don't miss an inspiring evening of photography and storytelling about the amazing caribou rainforest. Books will be available for purchase and signing after the presentation. Reservations and tickets are not required for this free event.